WAND Taxonomies Blog: WAND Fire Department Taxonomy Update! This month we also reviewed and updated the WAND Fire Department Taxonomy. The focus of this update was to review the current taxonomy and look for additional terms, and synonyms. 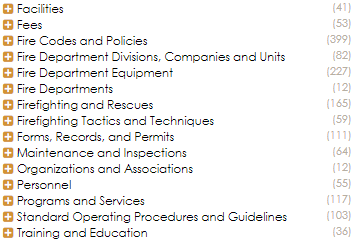 The updated WAND Fire Department Taxonomy has 1,551 categories and 967 synonyms. The top level term Forms has been expanded to Forms, Records, and Permits. 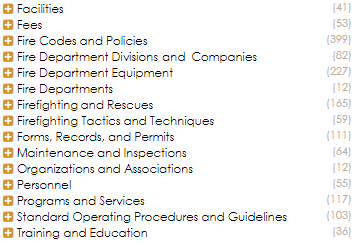 Other top level terms include Facilities, Equipment, types of Fire Departments, Fees, and Fire Codes. 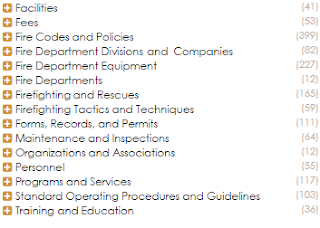 There are also Firefighting Tactics and Techniques, Firefighting and Rescues, Maintenance and Inspections, Programs and Services, Organizations and Associations, Personnel, Training and Education, and Standard Operating Procedures and Guidelines. The WAND Fire Department Taxonomy provides a strong foundation of terms and can be customized to include additional terms related to a specific type of Fire Department whether it be a Municipal, Federal, Contract, Volunteer, Combination, or other type of Fire Department. As with all WAND Taxonomies, the WAND Fire Department Taxonomy is available by itself or as part of the WAND Taxonomy Library Portal.